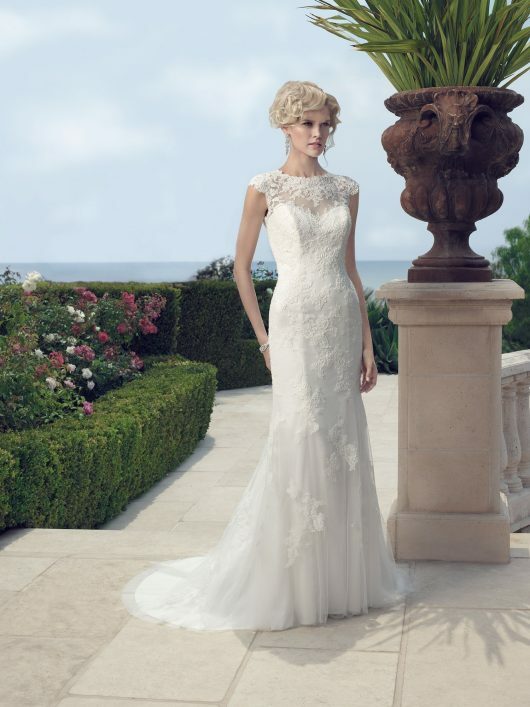 This non-beaded Alençon Lace, soft mermaid silhouette features a lovely sheer jewel neckline and oval keyhole back with cap sleeves. Silky Charmeuse lines the inside of the gown, with the luxurious, soft Silky Charmeuse against the skin. Crystal buttons sparkle along the zipper.